All personnel supplied by Province 5 Security have been trained to the highest standards. Contact us to discuss your requirements. The presence of a static guard is a proven and effective method of securing sites and business premises. 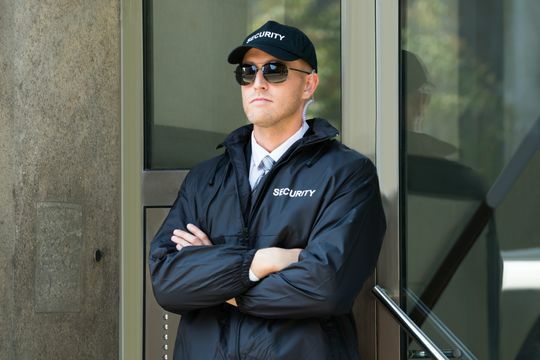 A permanent, uniformed static guard will give your business an element of prestige as they welcome your staff and visitors. Province 5 Security can supply you with a static guard day or night to protect your premises. Our static guards patrol and inspect property to protect against theft, vandalism, intruders and potential hazards. At a gate house, controls will be aimed mainly at vehicle access although there may well be an element of control over pedestrians. The gate house will be the first point of contact at the site for all callers. Once again, Province 5 Security officers chosen for this type of duty are taught the importance of customer relations and communication skills. Province 5 Security realises that reception duties often involve high profile, interpersonal dealings with customers, visitors and employees. Our security officers are specially chosen for this type of duty and are made fully aware of the importance of image, customer relations and good communication skills. To control entry/exit for staff, deliveries, unauthorised visitors. To physically patrol the site. To report, log and attend to any problems encountered. To be at hand should there be an emergency on site after hours, to inform an on-site response team and provide entry to Gardai and emergency services, if required.